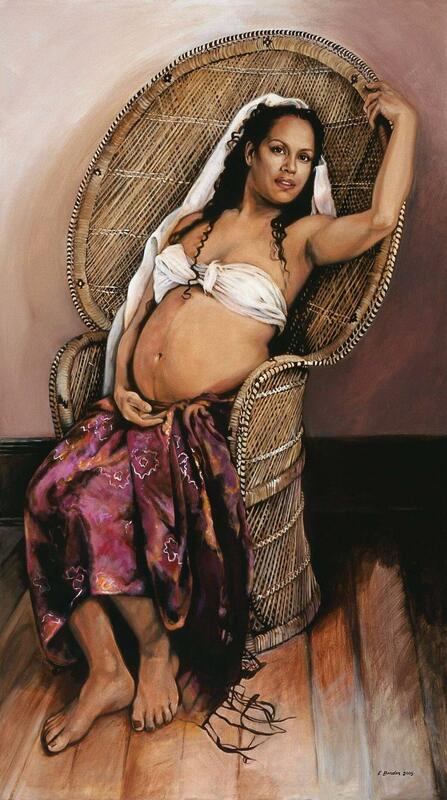 It has always been my fascination to paint people. I am, I confess, a ‘people watcher’. I see people walking by and something in their physicality, something about their expression triggers an artistic curiosity. I am intrigued by the play of light and the shadows, constantly distracted by colours and patterns. 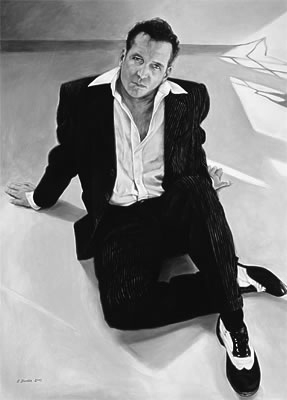 As a figurative artist, I hope that when I paint someone, I can inject a feeling that goes beyond skill or technique, beyond outward appearance to what lies within. It is a somewhat voyeuristic and intimate undertaking, and that is accompanied by a trust and responsibility. 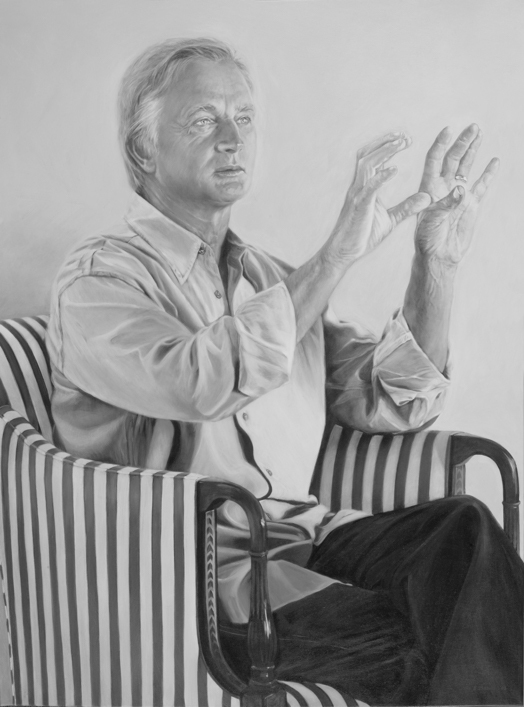 I seek to learn from observation, to represent in visual simplicity an emotional complexity – a hint of the inner self in a sincere and sensitive portrayal. I travel along different tangents, different aspects of everyday life, as life is fragmented, experiences diverse. Peace, love, joy, tension, sadness, resilience – all meaningful in everyday experiences and narratives. I seek to celebrate identity. I draw upon what is familiar to me, aiming to find common human themes, universal qualities, which connect the viewer. 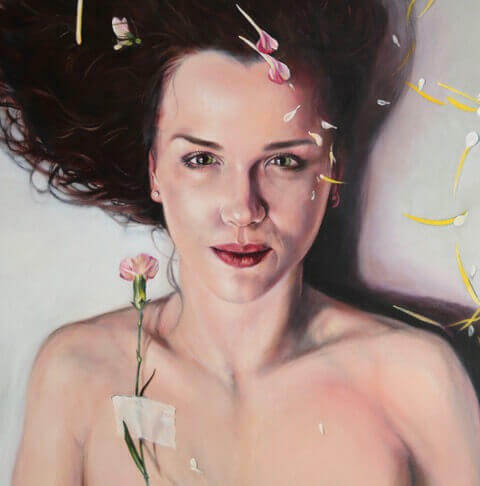 Elizabeth Barden is an Australian contemporary figurative artist. Barden’s work is included in public and private collections worldwide. 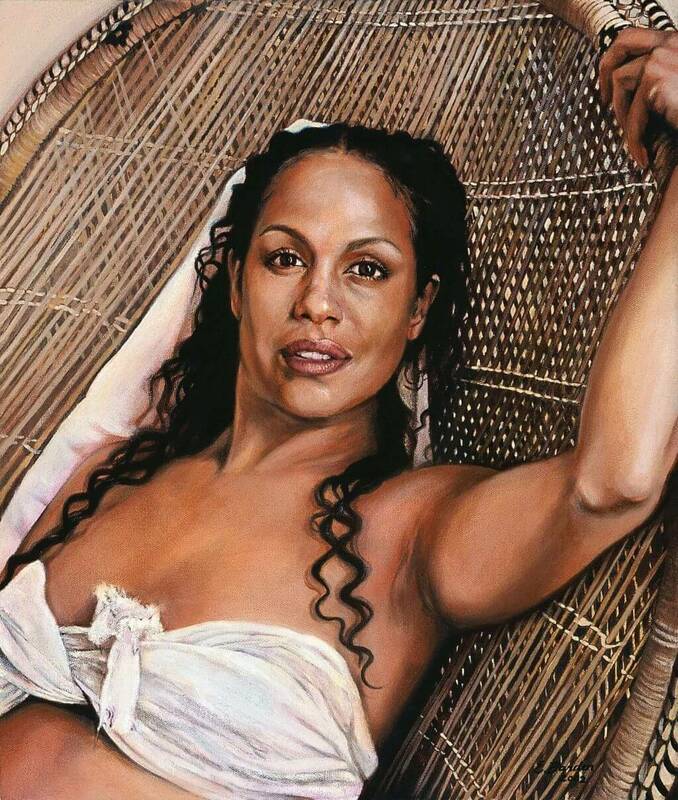 Career highlights include being represented in the permanent collection of the Australian National Portrait Gallery, Canberra, with the portrait of Indigenous performer Christine Anu – ‘Waiting For Zipporah’. 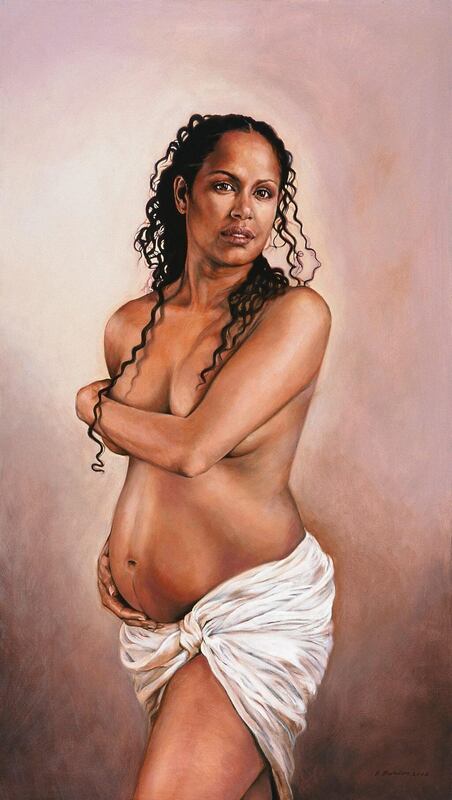 ‘Waiting for Zipporah’ has been featured in many Gallery educational programs and publications, and toured nationally in ‘Bare’, a curated show presenting states of undress in portraiture. Exhibiting highlights include two solo exhibitions in a public gallery, and group shows –nationally and internationally. 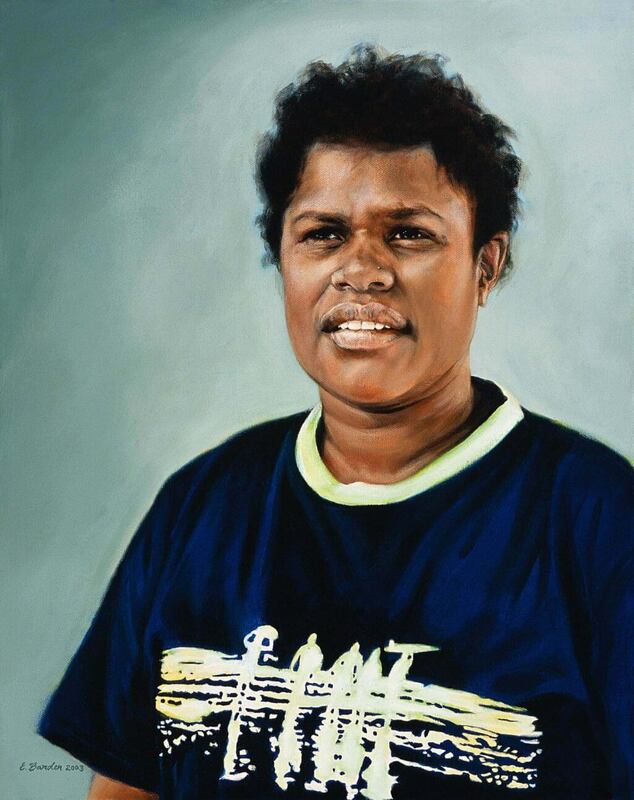 Elizabeth Barden has been a five times finalist in the Portia Geach Memorial Art Prize, a finalist in the Lethbridge 10, 000 Art Award, twice a finalist in the Shirley Hannan National Portrait Prize – in which she was also awarded ’People’s Choice’. 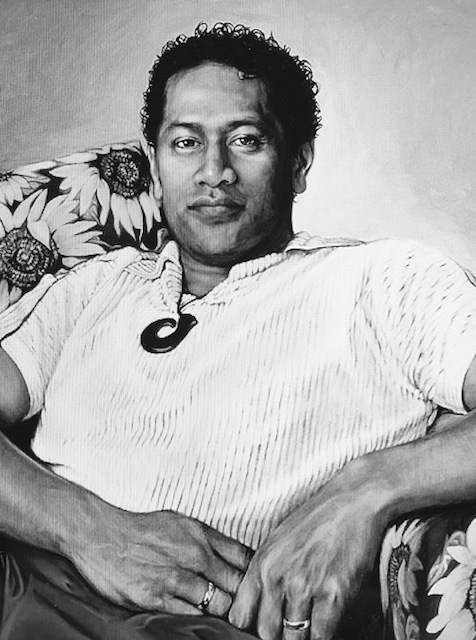 As a person who values his time and privacy, I found it difficult to agree to have my portrait painted at first . I had pictured myself sitting with bowls of fruit. The Sydney sun cascading through a well placed Venetian for hours upon hours, pausing only to invite my blood to circulate to regions that had previously been squashed for the sake of ART. I am happy to inform you that my experience was nothing like what I had imagined. Elizabeth Barden is a whisper of artist, meaning she met me and took photos and sketches of me while introducing herself to me and my family. She then outlined what she hoped to achieve with the portrait and at the end you realised as you shook her hand to leave, that the sitting was done and like a whisper she left you wondering what had just happened and if YOU had done the moment justice. 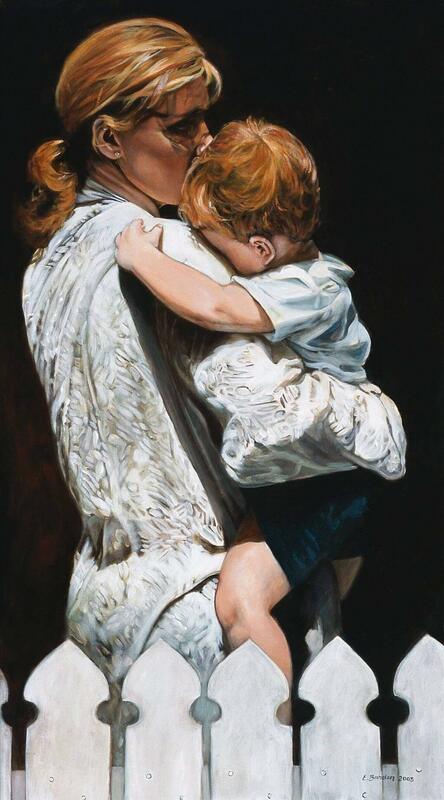 After a while I got a glimpse at the finished painting and I was embarrassed and amazed and flattered at how much I look like my children and my mother. Thank you Elizabeth for an experience that was worth a thousand words. So that's what you saw in those hands? The Storyteller! Well you tell a wonderful story yourself, Elizabeth. The idea...that's what it is...it's quite brilliant and makes this a very original painting. I can'tsay I have ever seen a portrait anything like this one. It is the diffused light, the hint of the mystic and the intensity that for me make this a very authentic rendering of character. You have created a compelling aura. The colour and composition seem to follow the hands which of course follow the story. Although I am way past affectation, having seen myself on film and in photographs for 40 working years, I spend little time thinking about how others perceive me. I usually only think about whether people believe what I am saying. You catch this quality splendidly. The Storyteller is quite unlike your other body of work. It seems to go to a quite different place. While some of your other striking portraits invite people to ponder the beauty or the strength of character, strangely this painting asks people to think about the Story, about the world that I have seen, about the human condition and how some events affect each one of us deeply. That is a brilliant, inspired act of creativity. Thank you for such thoughtfulness in the way you use your great gift. 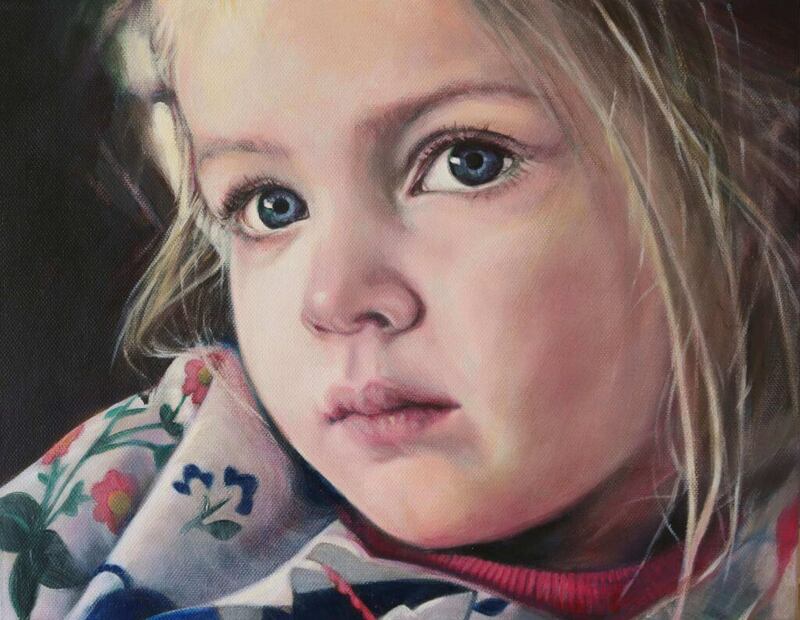 Quite apart from being jaw-droppingly delighted with the incredible quality of Elizabeth's work on my portrait – I absolutely loved the process from beginning to end, Her grace and artistry is obvious, not only in her paintings, but the way she dealt with me as her subject.